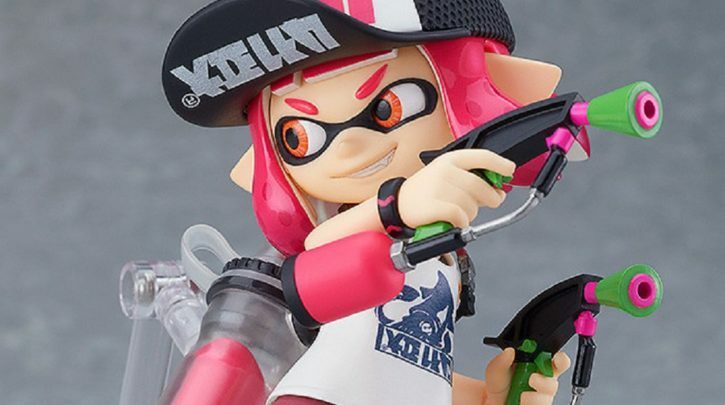 Toy purveyors Good Smile Co. have opened pre-orders on Max Factory’s latest Figma, based on marketing superstar Inkling Girl of Nintendo’s online shooter series Splatoon 2. Inkling girl is available in both standard and DX format. The former features the mischievous cutie-pie rocking her original Splatoon look. Standard Inkling Girl comes with a selection of accessories, including a set of stylish headphones, an ink tank, a mini squid figurine, and a Splattershot. Thanks to Figma’s trademark articulation, she can be arranged into all sorts of dynamic poses. The DX edition includes all of the above plus a second figurine, based on Inkling Girl’s appearance in Splatoon 2. 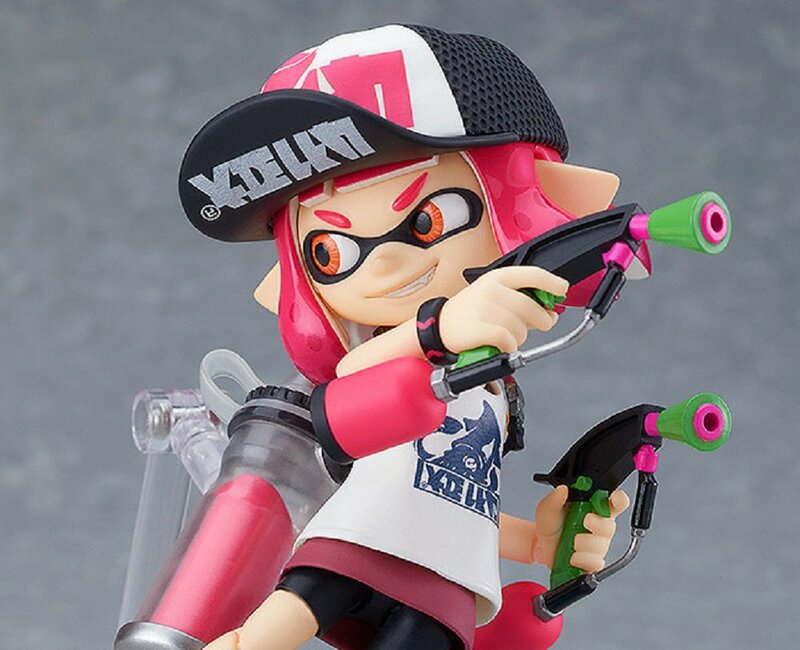 This set also includes variants in headgear and weaponry, such as a baseball cap, knitted hat, Dualies, a Burst Bomb and an Ink Roller. There’s some pretty nifty dioramas you could build between the two characters, with a bit of creative thinking. The Inkling Girl Figma is available for pre-order from now until November 13, with an expected shipping date of May 2019. The standard figure costs ¥5,800 (about $52) whereas the DX set costs ¥12,800 (or about $110) not including shipping or any customs charges.